Alexandra Feodorovna of Russia, the wife of last czar Nicholas-II. 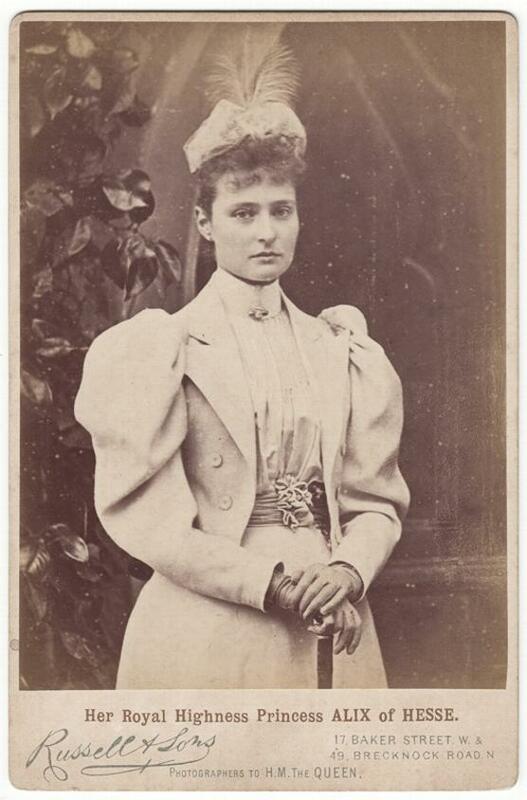 Born Alix of Hesse, the daughter of Princess Alice of England and Grand Duke Louis of Hesse-Darmstadt, she was known as 'Alicky' within the family. She took the name Alexandra Feodorovna on her conversion to the Russian Orthodox Church. Along with her husband and children, she was murdered in 1918 at Ekaterinburg during the Russian Revolution. 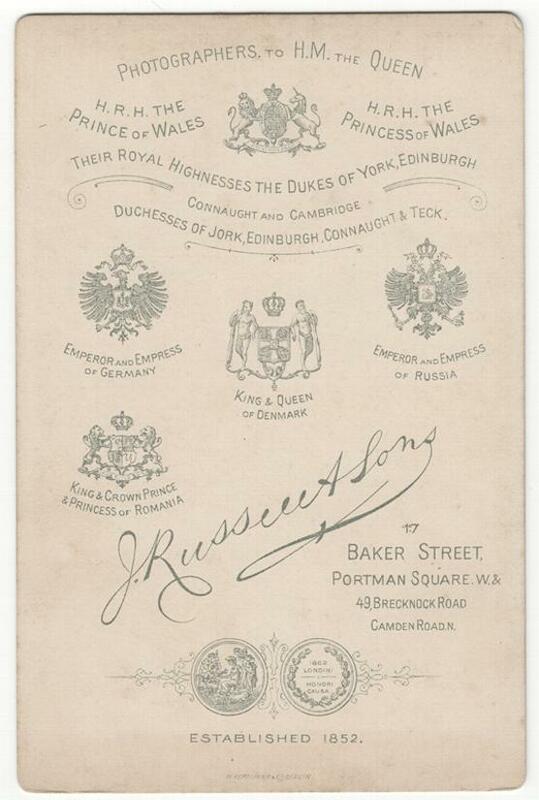 Photographed by James Russell and Sons of Great Britian. James Russell and Sons were a firm of portrait photographers with their principal studio at Littlehampton and others at Chichester, Worthing, Bognor and Petworth.